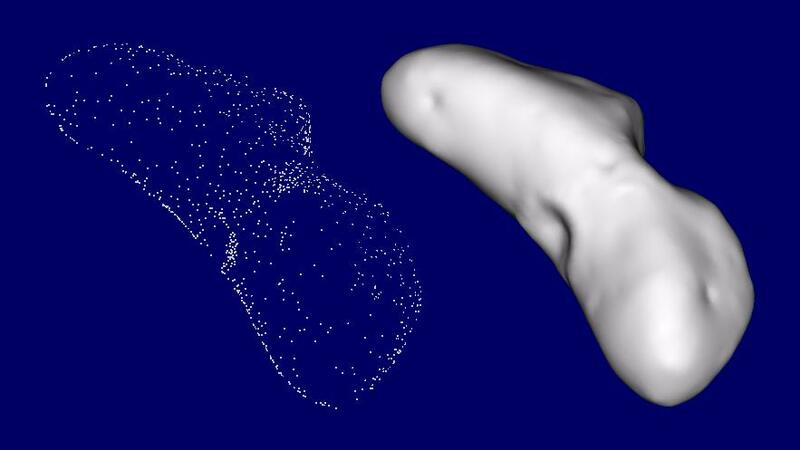 Looking at a few pictures of Eros under the right lighting conditions gives a reasonable idea of the shape of the asteroid, but analysis of NEAR Shoemaker data requires a very accurate digital model of Eros' shape. 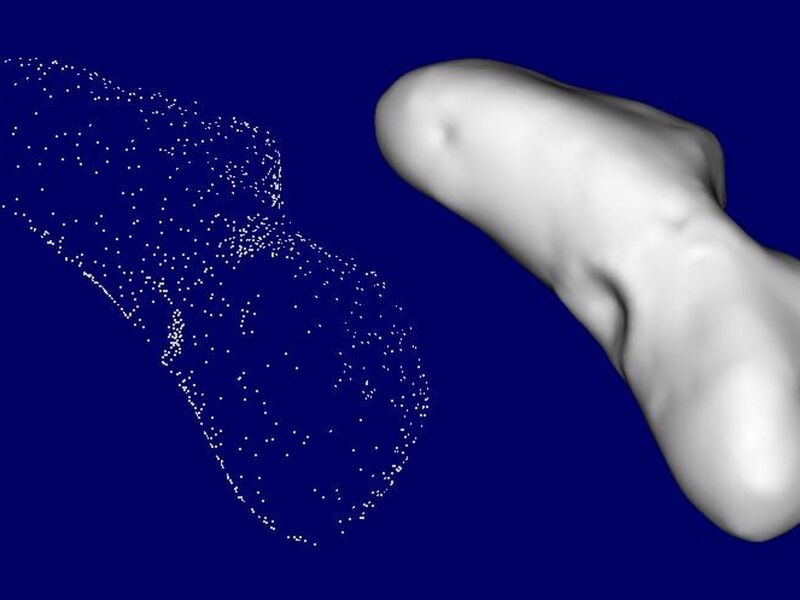 This "shape model" helps the NEAR team analyze images and other types of data. For example, comparing the brightness of imaged regions with the orientation of the corresponding parts of the surface, taken from the shape model, allows scientists to determine whether bright areas are due to just surface orientation or also to surface properties. 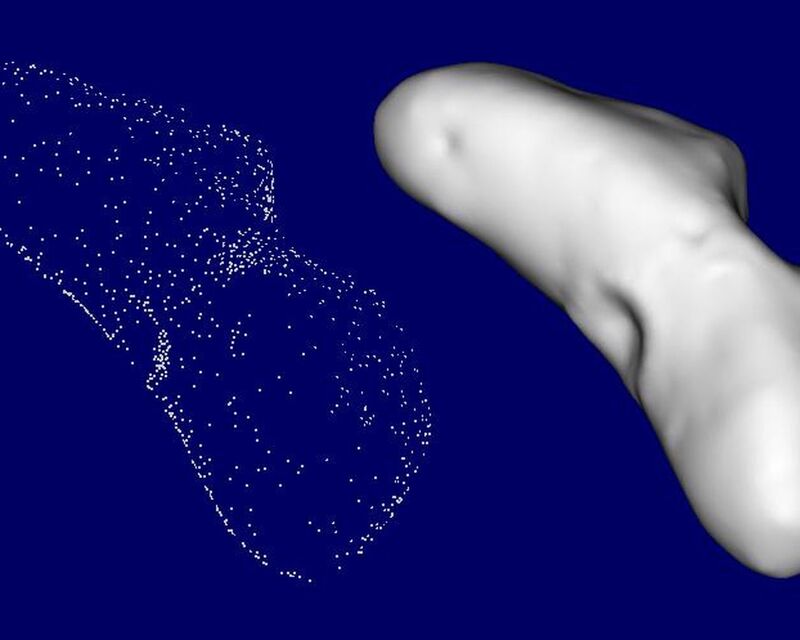 By "filling" the shape model with material about Eros' average density, one can calculate the strength and direction of gravity at any point on the surface -- not an easy task on a body as oddly shaped as Eros. Comparing this calculated gravity field with Eros' real field places bounds on the differences in Eros' internal density. One method of determining the shape is directly from the images. The directions to landmarks in different images are triangulated to determine the landmarks' 3D location. On Eros, the landmarks that we see the best are typically craters and boulders. 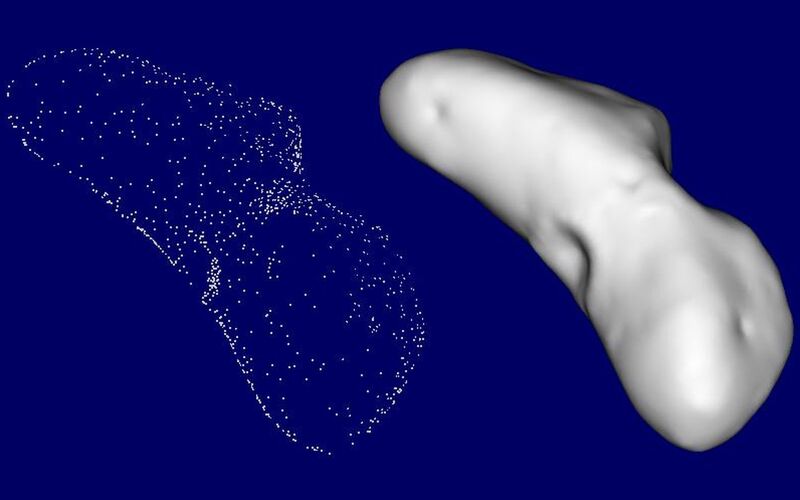 Once the 3-D locations of enough landmarks have been determined, a continuous surface that passes through these points is generated, giving a good approximation of the shape of the asteroid.